In a game of attack and defence, who breathes first? A powerful new drama about sport, nationality and belonging, with a haunting love story at its heart. From the red dust of Punjab to the Olympic stadiums of Europe this intense new drama explores the Indian sport of Kabaddi and its place on the world stage. Against a backdrop of Indian revolutionary fervour, two players compete for a place in the team for the 1936 Berlin Olympics and for the love of Azadeh, a freedom fighter and outcast with a troubled past. 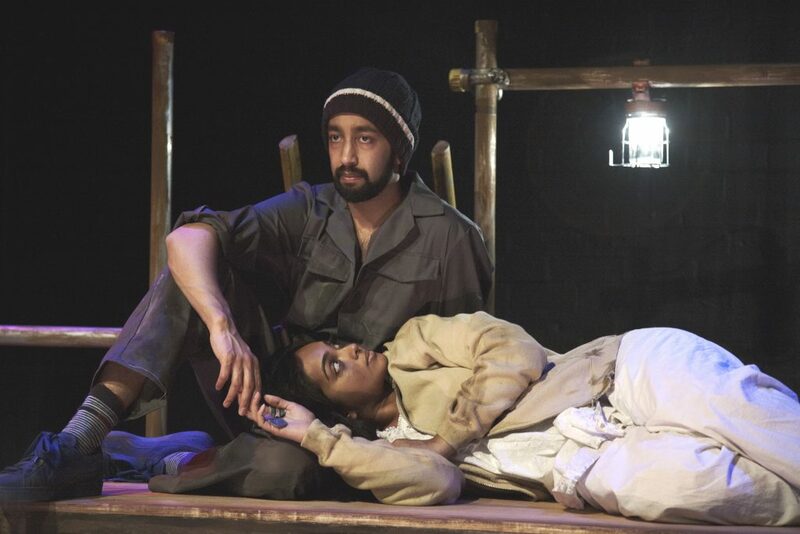 Structured like the two halves of a Kabaddi game, this production recreates the raw physicality of combat in a compelling story of the struggle to win. 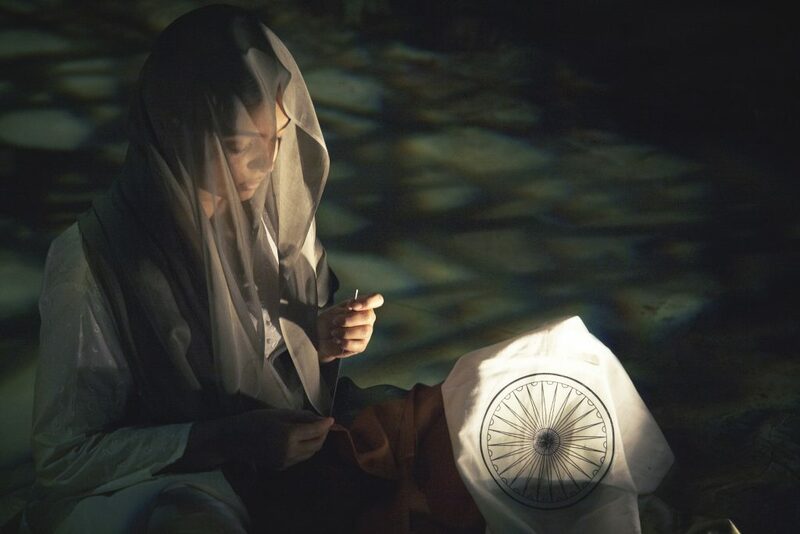 Satinder Chohan’s brilliant first play, Zameen was toured nationally by Kali in 2008. She has just concluded a year-long Writer’s Attachment at Hampstead Theatre. 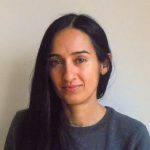 Satinder Chohan is a journalist and documentary researcher/assistant producer turned playwright from Southall, West London. 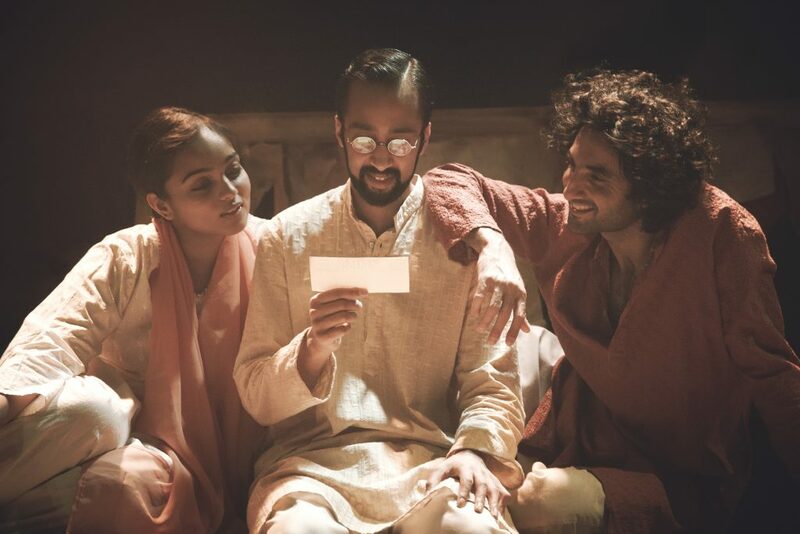 ‘KabaddiKabaddiKabaddi’ is a multi-layered ‘two-time’ play, shifting between a 1930s/1940s village in Punjab, (British) India and a UK construction site close to the building of the 2012 Olympic Stadium in East London. The play takes its name from ‘kabaddi’ an ancient Asian combative sport and alleged demonstration sport at the 1936 Berlin ‘Nazi’ Olympics. ‘Kabaddi’ involves methods of self-defence, counter-attack and the crossing of boundary lines into opposition territory, while withholding the breath and repeatedly chanting ‘kabaddi’. In Hindi, ‘kabaddi’ means ‘holding of breath.’ The play opens with the breath of rebirth as a newly arrived immigrant is washed up on a European coastline. It ends with a breath extinguished. The breathless chanting of ‘kabaddi’ takes us back to the 1930s, to a rural Indian village where young men engage in a wrestling ‘survival of the fittest’. Transposed to 21st century urban Britain, a different ‘survival of the fittest’ plays out through a subsequent generation. 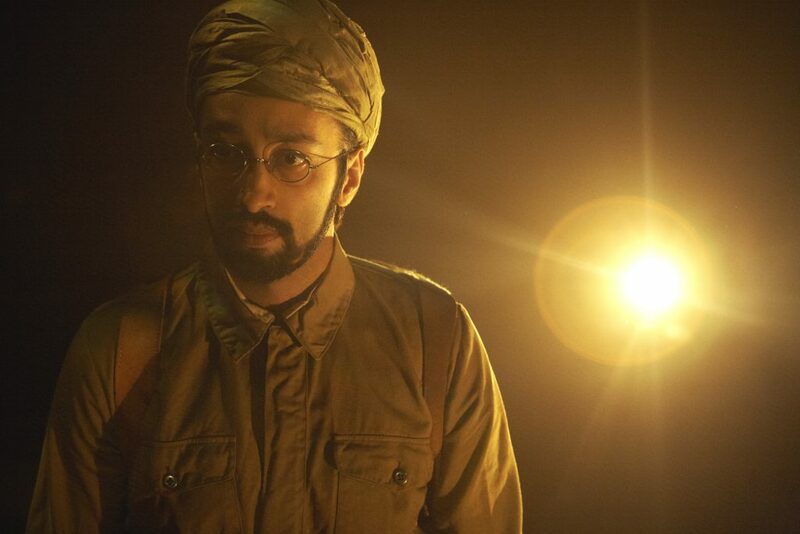 As defenders and raiders/attackers cross into one another’s territory, ‘KabaddiKabaddiKabaddi’ is about ‘faujis’ (illegal Indian immigrants in Britain) who cross not only physical, cultural and historical borders – but emotional, psychological and memorial borders within. For faujis in Britain, kabaddi is sport. It is memory. It is defence. 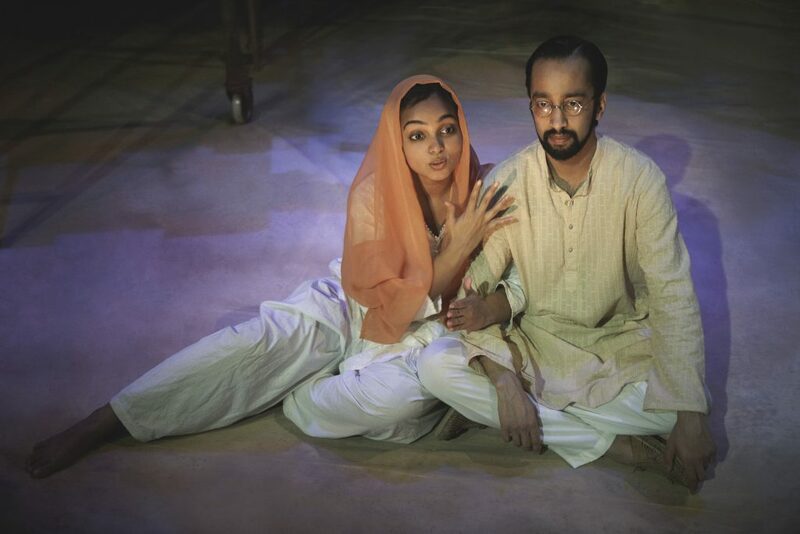 Structured like two halves of a kabaddi game, the play uses the raw power of kabaddi, its agility and movement, non-naturalistically, punctuating the narrative and emotional action, like a Greek Chorus. The same three actors portray the members of the earlier generation, shifting between past and present. 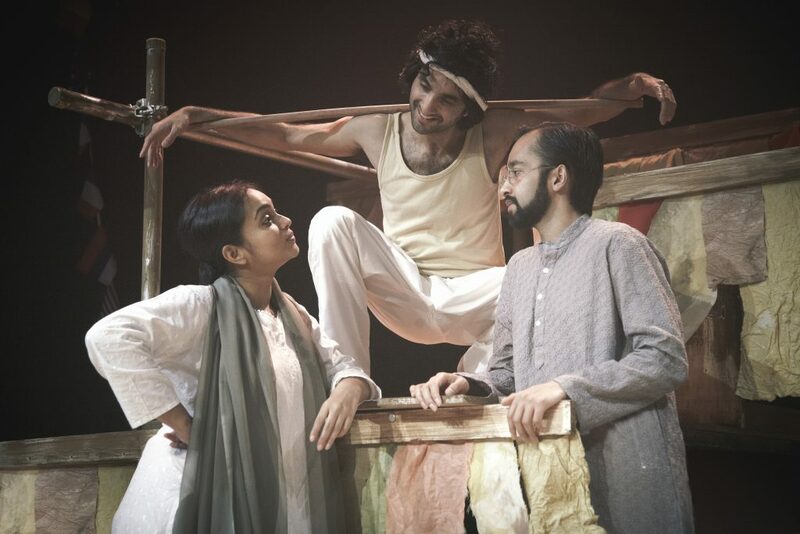 The play is staged around ladders, action being undertaken on rooftops above and village spaces/streets below, in both Punjab and East London. The action works towards an incident in which the past collides with the present – Sayeh and Dalbir argue at the top of the construction site. Sayeh holds Dalbir threateningly over the edge and rather than releasing her grip as she initially intends, she holds tighter and hauls him up from the edge. Actions have consequences over generations – but sometimes, the wrongful actions of the past can be expiated, rather than avenged. Chohan captures cleverly the ironies and complexities of British Asian identity with wit and depth…. I urge viewers to support this important and groundbreaking work to ensure that such beautifully told stories reach a wider public domain and excite the British consciousness.